A community grazing project involves providing appropriate facilities for members of the community to keep their horses that are managed in a way that safeguards the welfare of the horses kept there, and fosters compassion to animals and fellow humans through educational opportunities. As a result of well-documented community grazing projects in other regions, crime has decreased, equine welfare has been improved and the marginalisation of communities has decreased. The pilot community grazing project proposed will be based in an area where horses are documented to have been illegally grazed for 45 years. 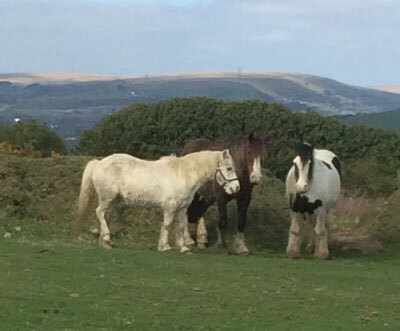 Illegal grazing is a significant problem in Swansea and this community-led initiative will address the root causes of the welfare issues for the urban ponies rather than the symptoms. It will provide a solution to several animal welfare and societal challenges and will enable us to help horse owners, animals and the wider community. In brief, horse owning households would be offered the opportunity to keep one horse in a suitable environment overseen by Communities For Horses. The land would be run by Communities For Horses, local peers, and potentially members of the council. There would a charge for the horse owners to be included in the scheme to fund supplies (feed, hay and so on). The project will be funded by grants and funds raised by Communities For Horses. More details will be available soon.